Ready for something new from Sally Hansen? Today I have something that is VERY different from anything that I have seen. 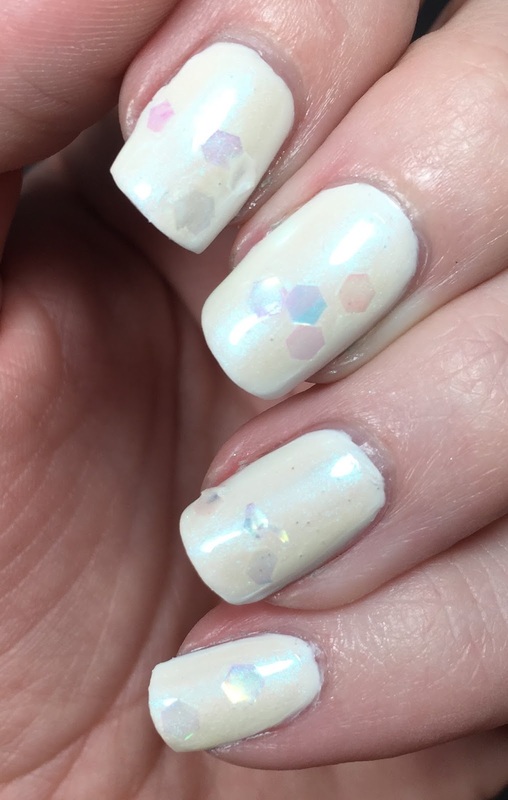 There is a new line of polishes called Pearl Crush. The theory behind these polishes is that the glitter in the polish when combined with the color gives you a 3D crushed pearl look. The instructions for these polishes say to dab one coat on nails, let dry and then dab on another coat. I appreciate that they are letting you know up front that you will need to fish and dab with this glitter. The Pearl Crush polishes are available now and retail for $5.99 at mass retailers everywhere. I was provided with four of these shades and have two of them available for you today. 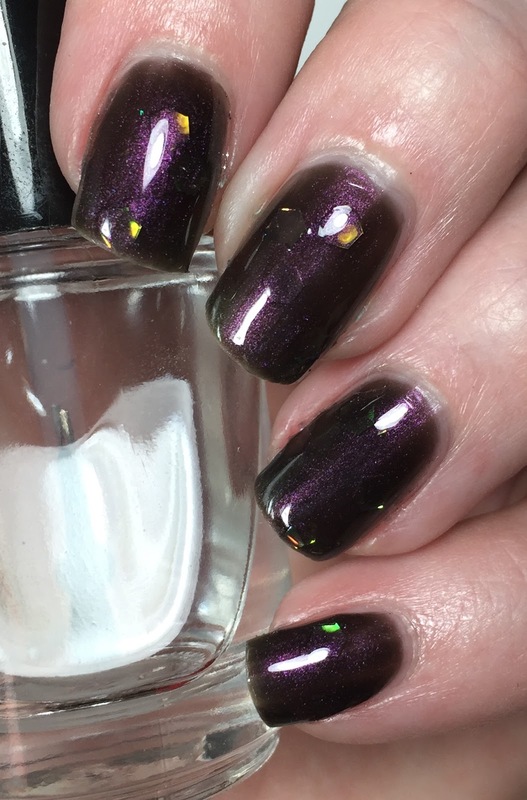 First is Clam Digger, this is three thin coats topped with Glossy Glam. Sally Hansen says this lava-rock black stands out with flecks of phosphorescent green glitter. The base color on this is AMAZING. It's deep and almost like it is glowing. I did have to swirl the brush to get the glitter to come out. The second color is Oy-Ster It Up. 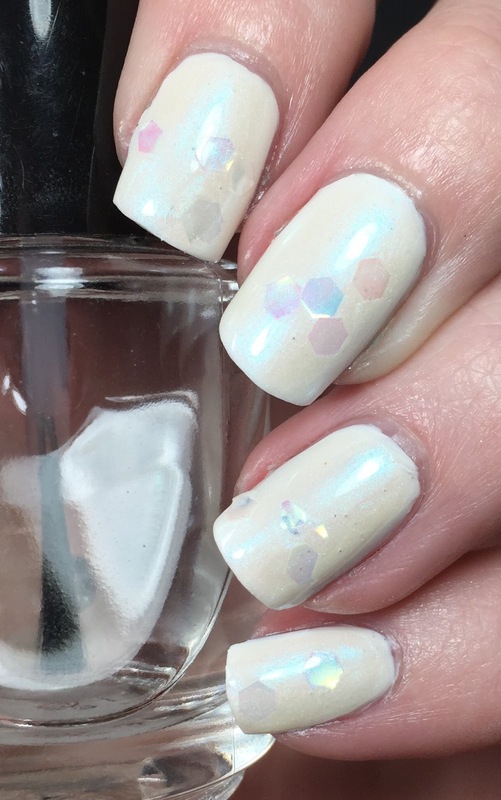 Sally Hansen says this true white with faceted glitter catches the light beautifully. I have two dabbed coats over Tag, Ur It! which is also from Sally Hansen. I knew I was going to have to layer this one. The base color would not have allowed it to be alone. 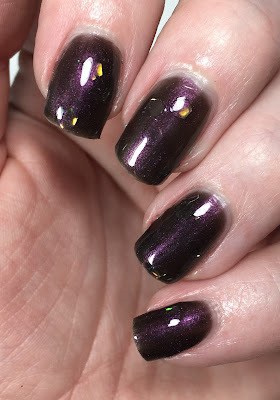 These are unique polishes for sure and I applaud their attempt at creativity. If you don't mind fishing and dabbing than grab one of these. Would you be willing to do that for this look? Well, you've managed to make these polishes look better than in other swatches I've seen, but I still don't love them. I think using a base polish helped with the second one. I really like these Pearl Crush polishes and picked up several. Your swatches are the best I've seen yet and I really need to pull them out for use. I am so delighted now that I grabbed that dark one while it was available as look how gorgeous that is on you! I can see how this would be beautiful for fall too.